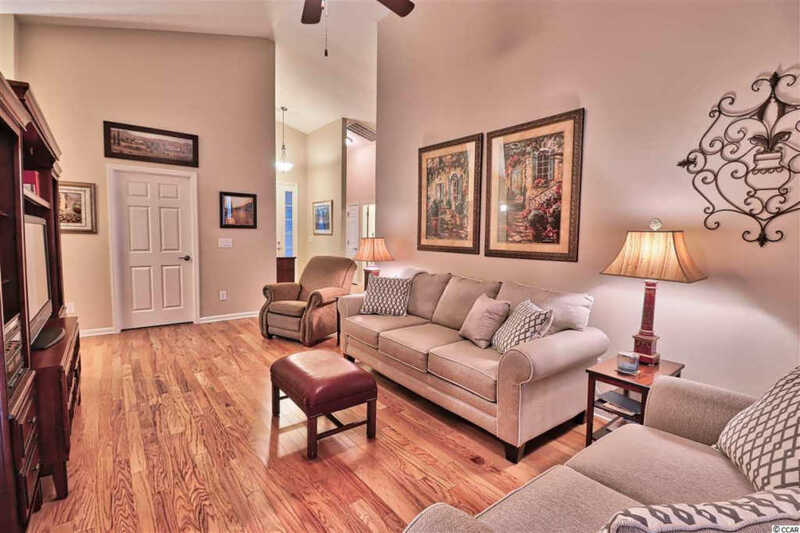 "You are buying a lifestyle, not just a home!??? 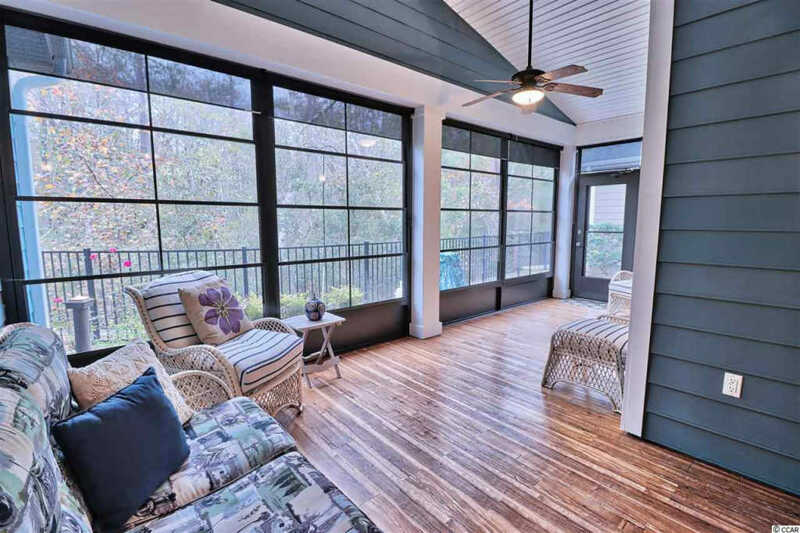 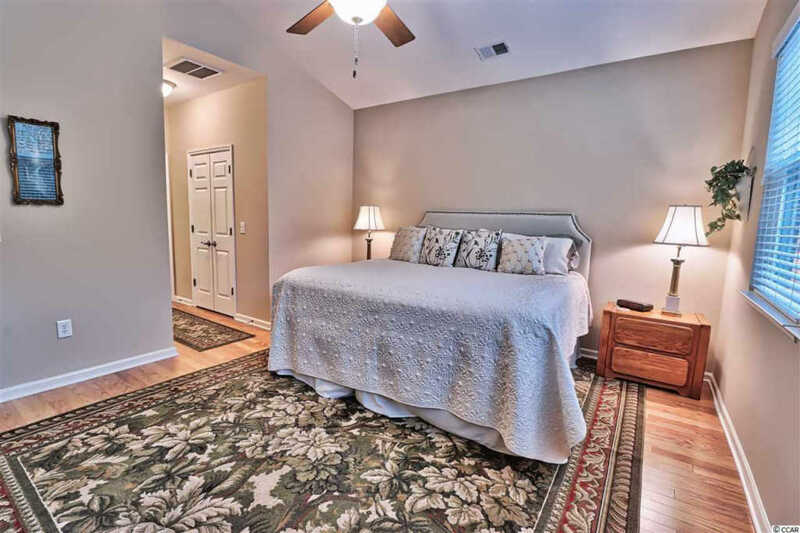 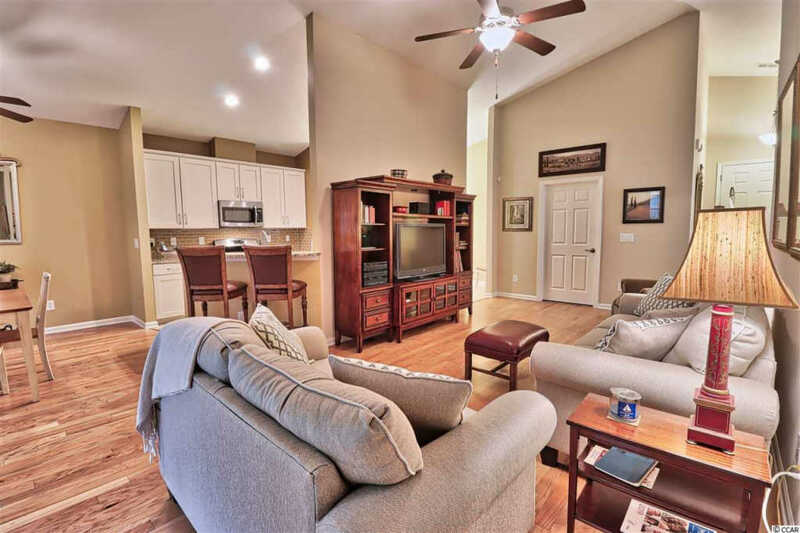 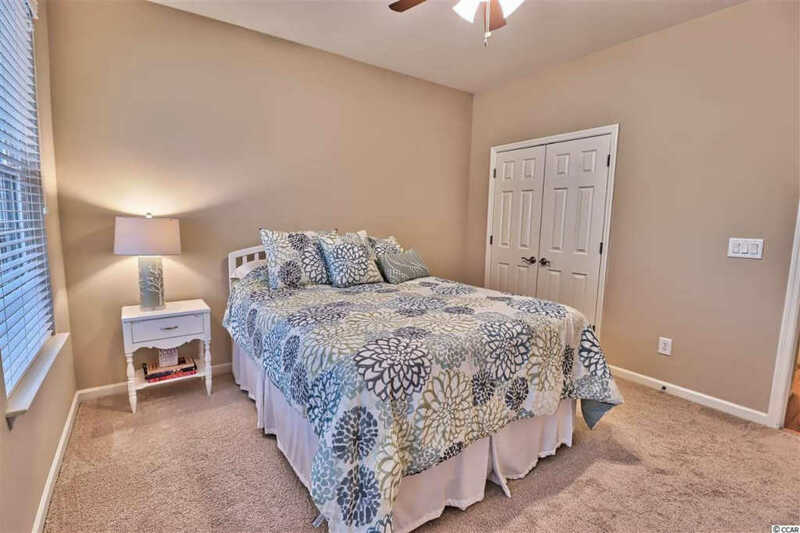 Upon entering this Eagle Trace model home by way of a covered rocking chair porch, in the sought out Seasons Community, one is sure to be delighted by this lovingly cared for home and its neutral appointments, featuring hardwood flooring in Living Room, Dining Room, Master Bedroom and Hallway. 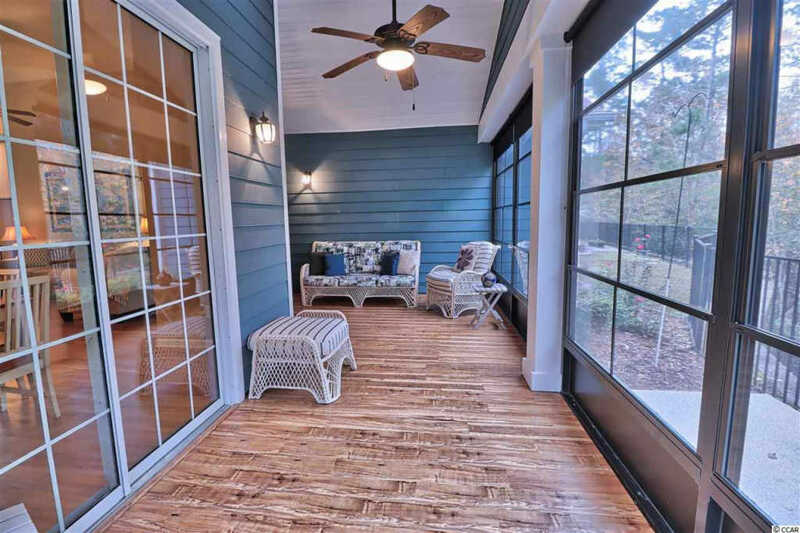 Sitting almost anywhere in the main living areas one feels as if they are part of the wooded rear yard enabling one to enjoy all that it has to offer! 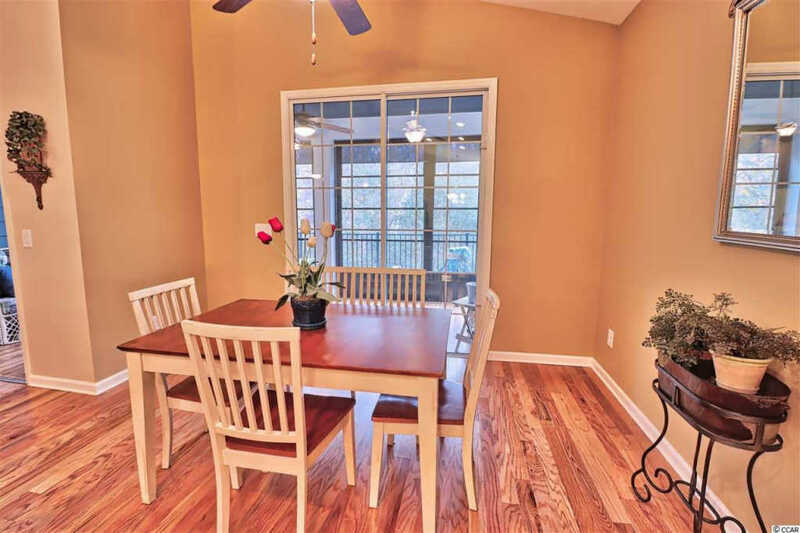 The Living Room has a vaulted ceiling with lighted ceiling fan and sliding doors to the enclosed Sun-room, as does the adjoining Dining Room. 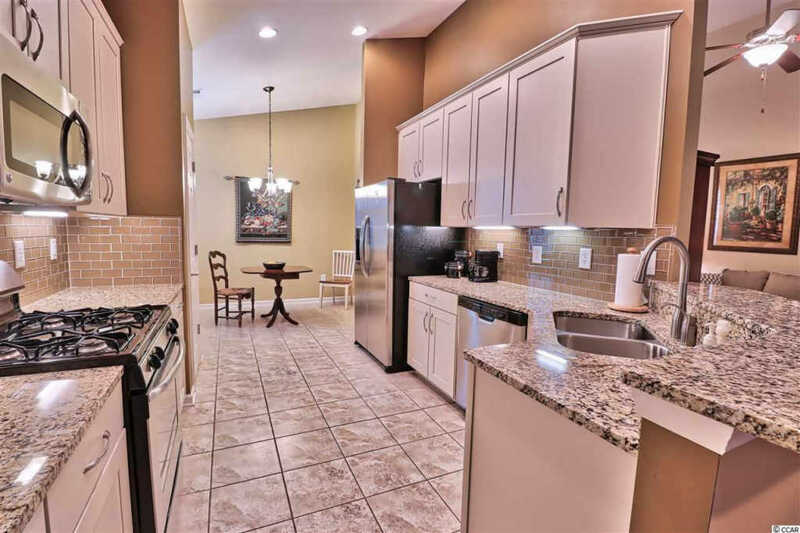 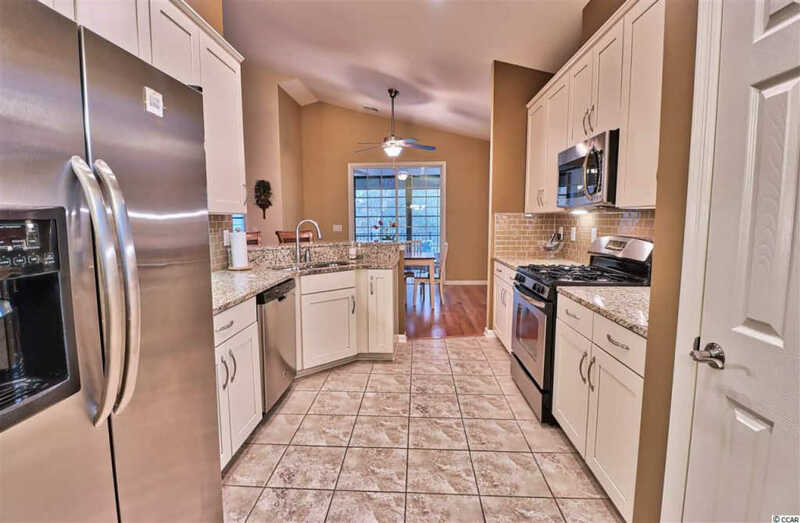 A roomy Kitchen enjoys cream wood cabinetry with roll outs, granite counters, glass tile backsplash, stainless steel appliances - gas stove, pantry closet, double SS sink, recessed lighting and Breakfast bar are sure to please! 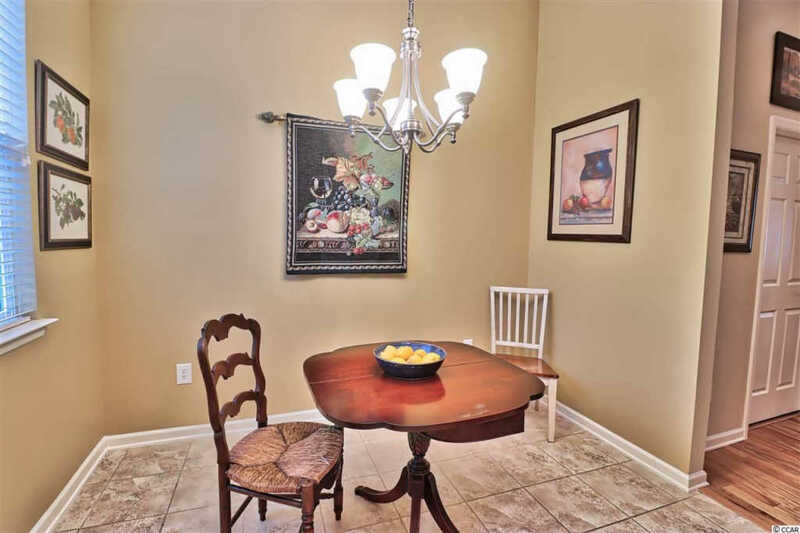 The convenient bright Breakfast Room with vaulted ceiling is just adjacent. 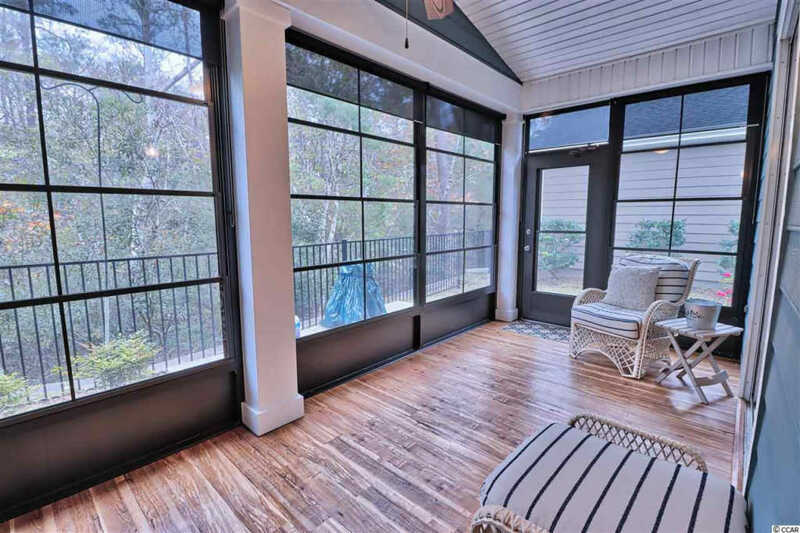 Soon to become ones favorite place to relax and enjoy the private rear is the finished Sun-room. 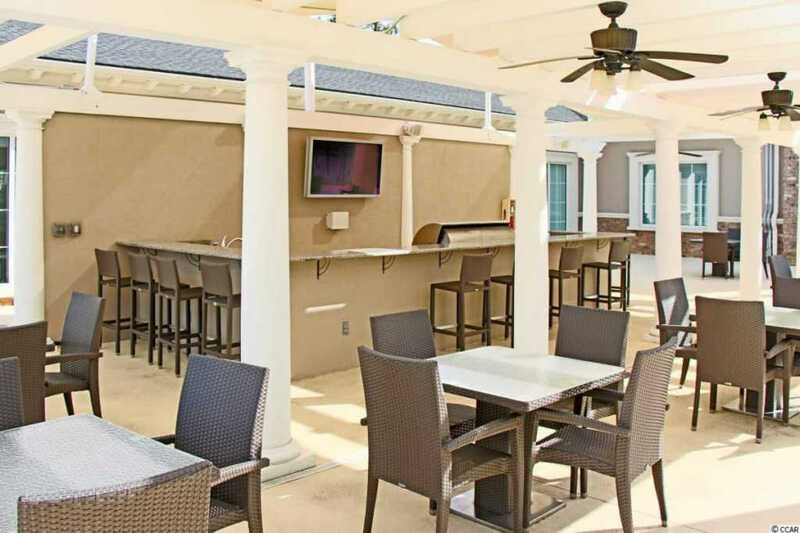 It features vinyl wood like flooring EZ-Breeze windows with screens and shades, a lighted ceiling fan and door leading to concrete area for your BBQ. 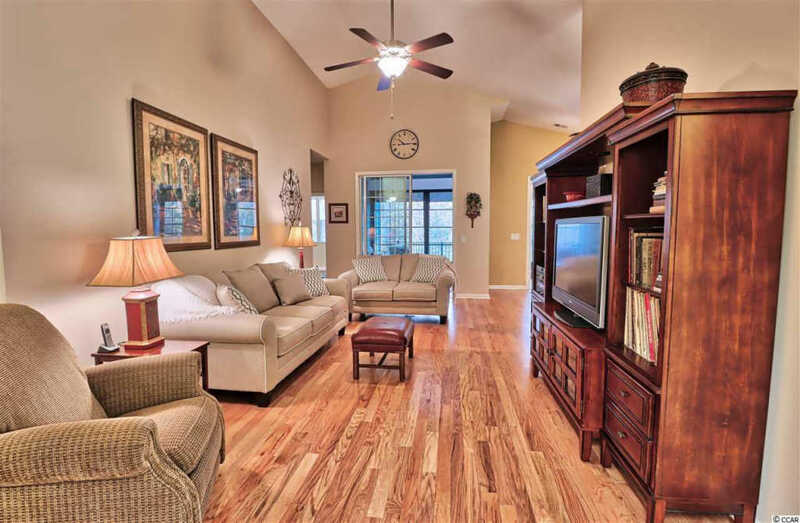 The flow of all rooms makes for ease of entertainment! 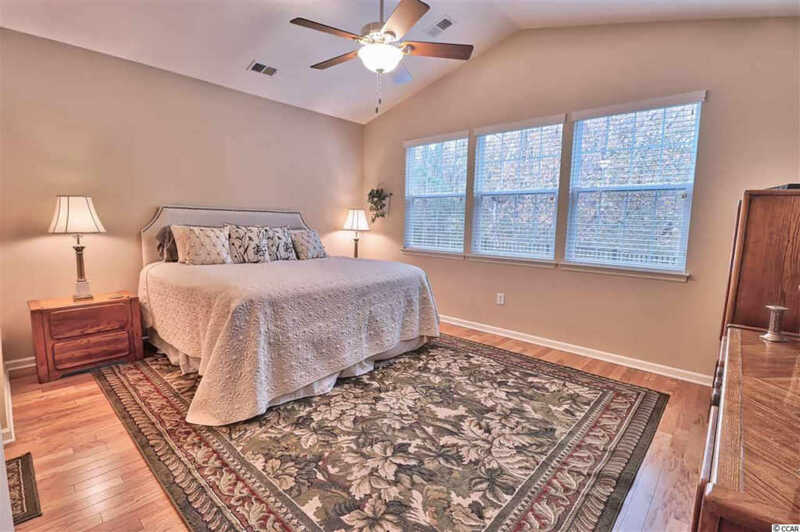 Just off the Living Room one enters the Master Bedroom Suite with hardwood flooring, vaulted ceiling with lighted ceiling fan. 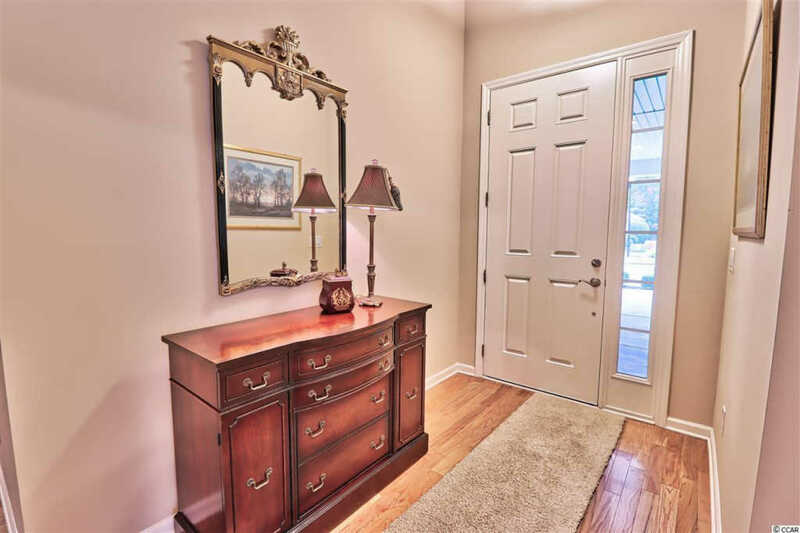 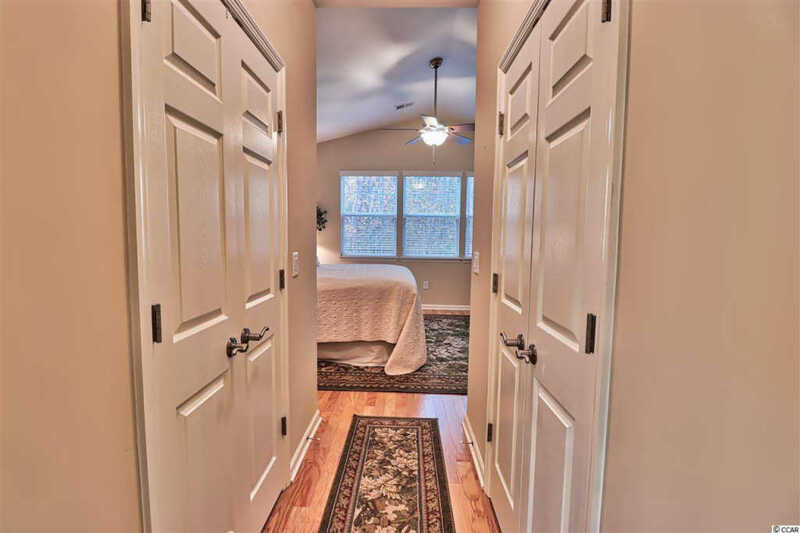 Here a hallway leading to the Master Bath finds two ample sized walk-in closets. 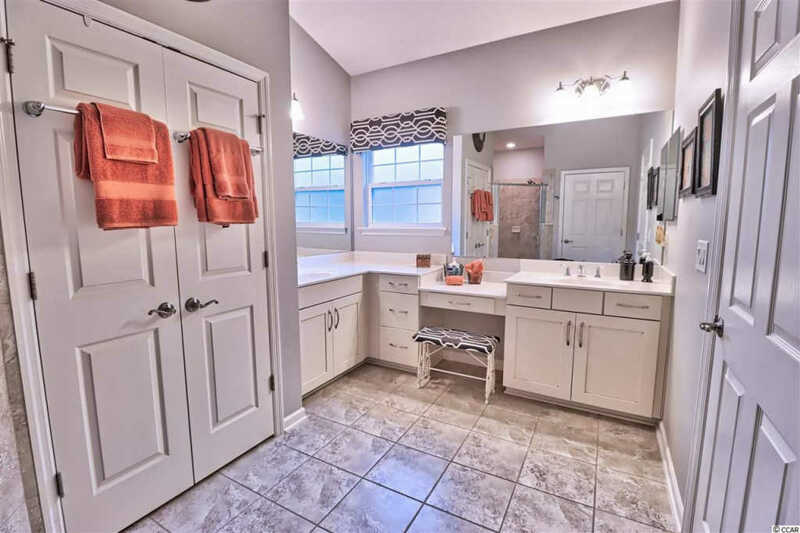 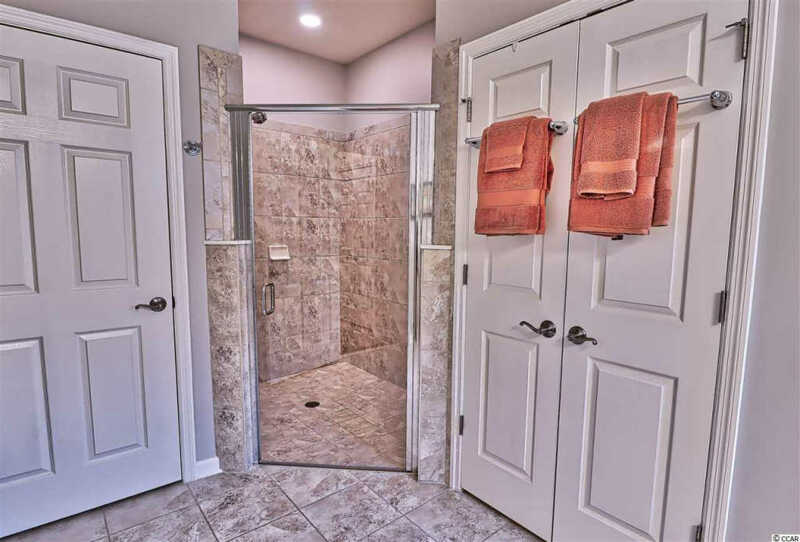 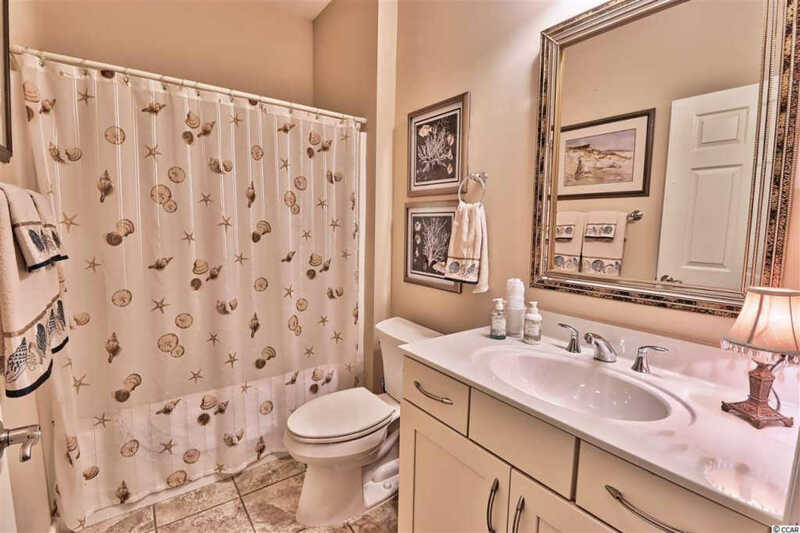 The Spa like Bath features tile flooring over-sized tiled shower with glass doors, two sinks and makeup area, large linen closet and private water closet. 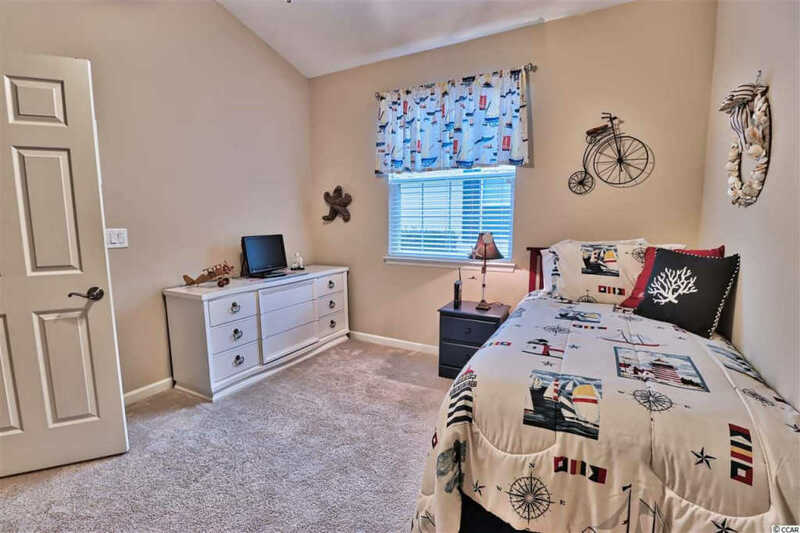 Also featured are two additional Bedrooms with carpeting, one with double door entry, which can easily be used as a den. 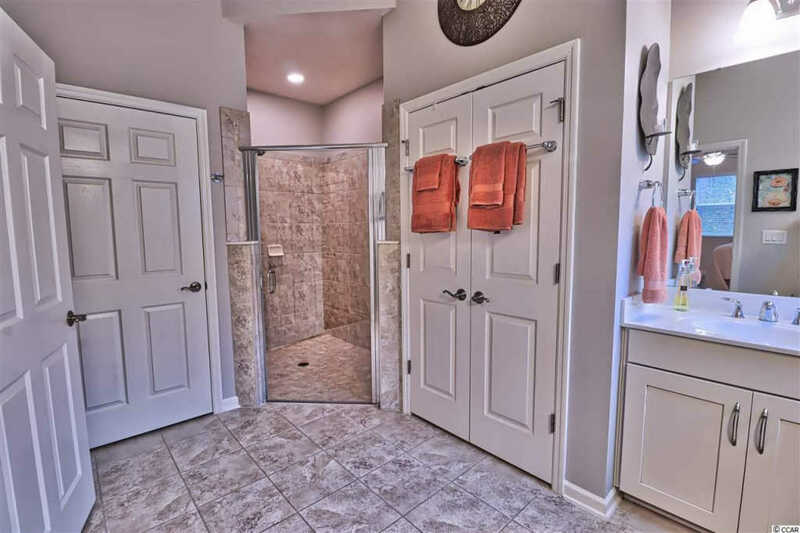 Also in hallway between rooms is a Full Bath featuring tile flooring, shower over tub and vanity and a linen closet. 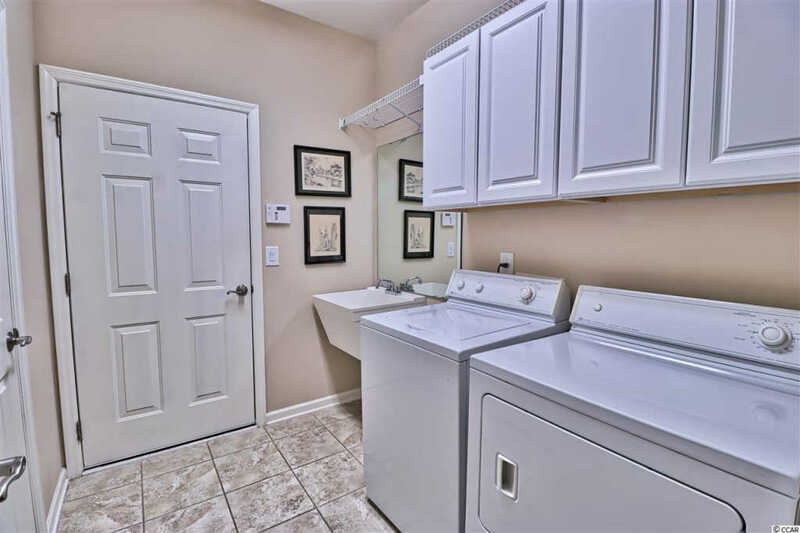 A large tiled Laundry room with cabinets, utility sink, two generous closets and a door leading to the two-car garage. 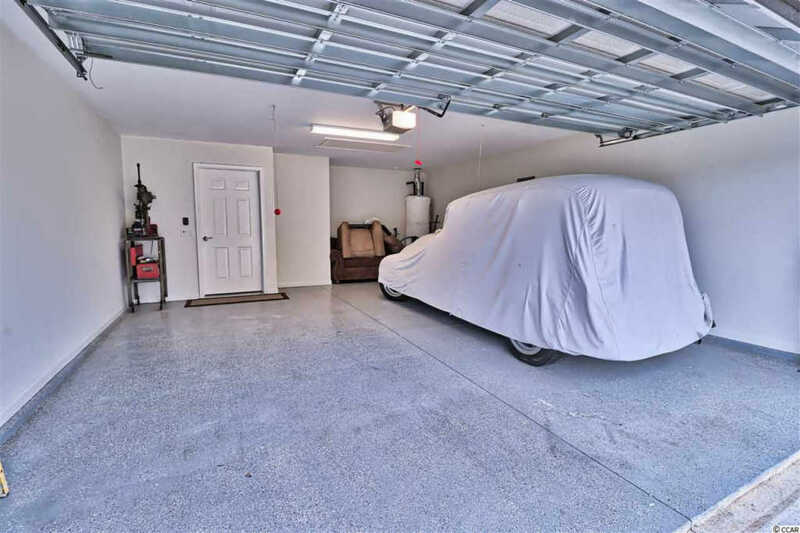 The Garage has a finished floor and has been recently painted and has access to attic storage. 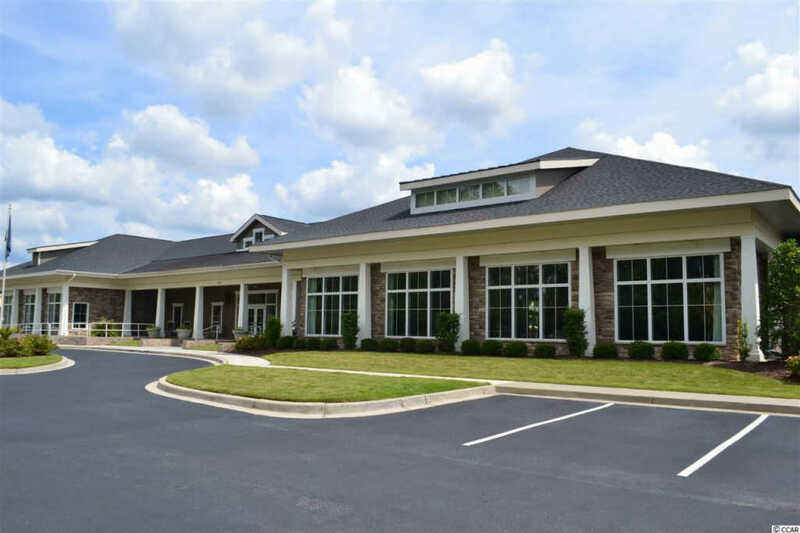 The well maintained exterior has been freshly painted. 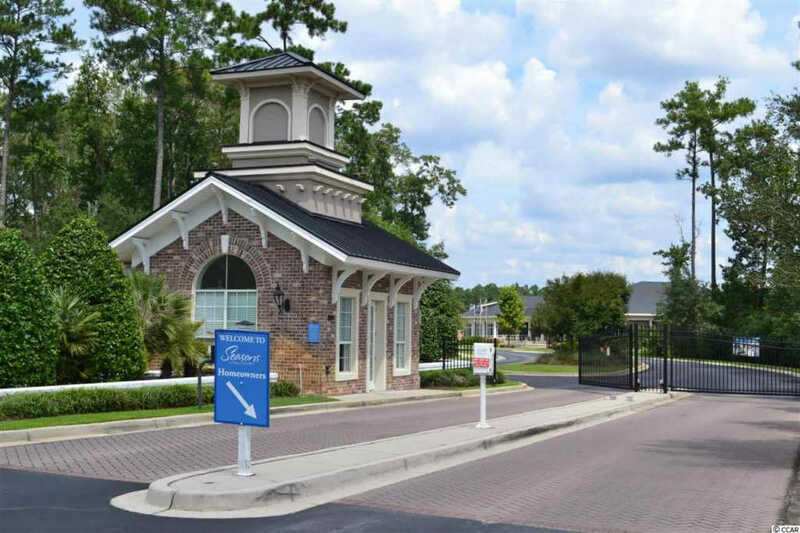 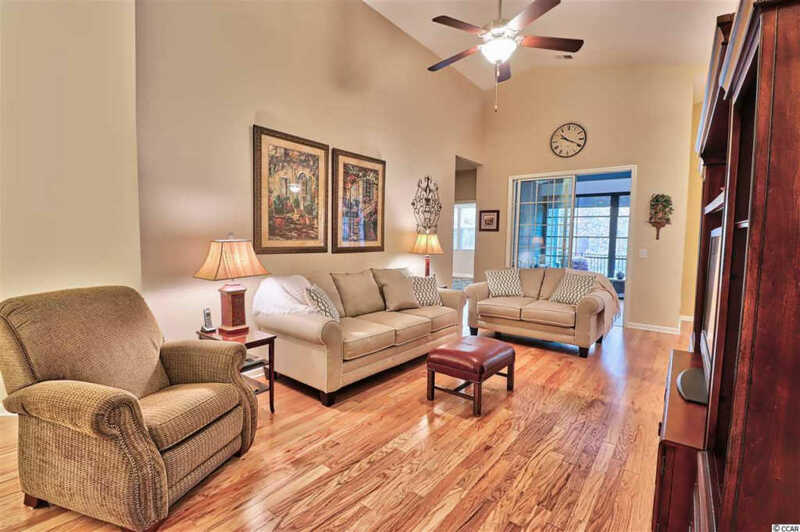 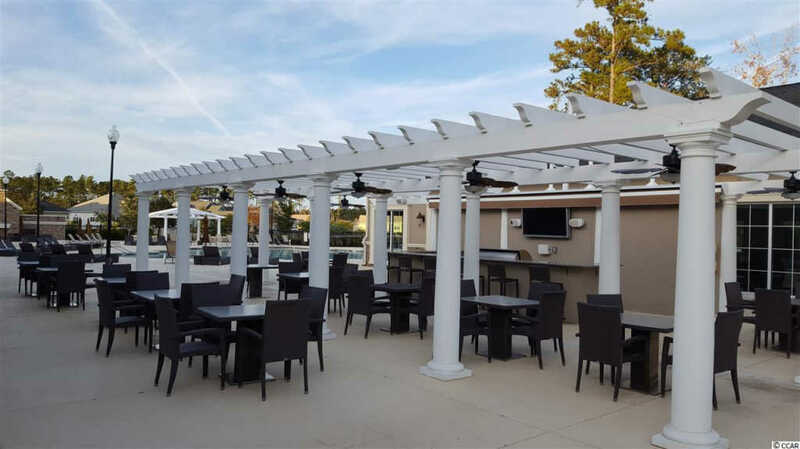 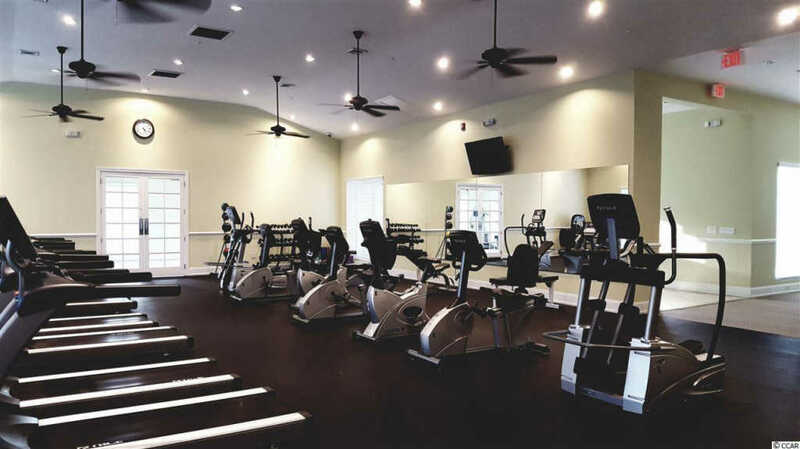 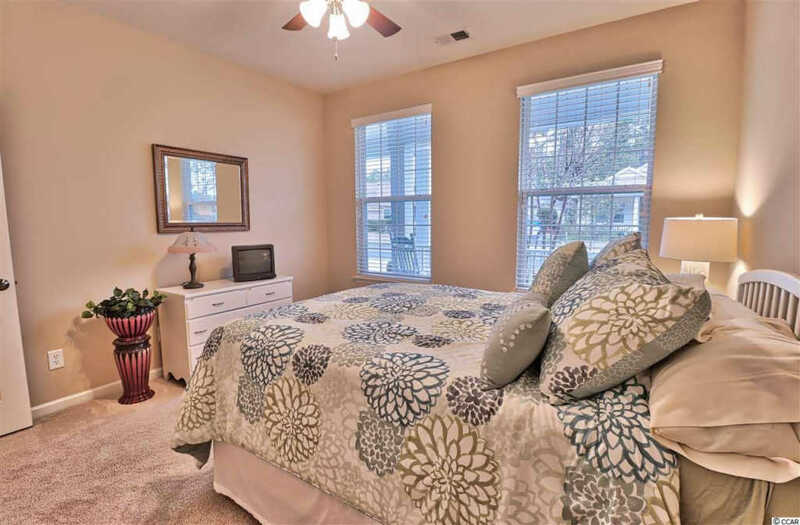 Seasons is a gated sought after 55 and older active adult community located in Murrells Inlet. 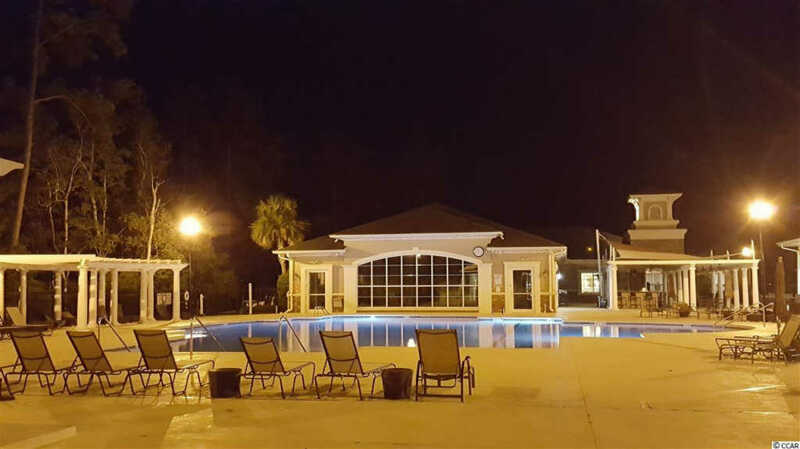 The Clubhouse features indoor and outdoor pools, gym, art room, meeting areas, fireplace, tennis, employs a Lifestyle Director. 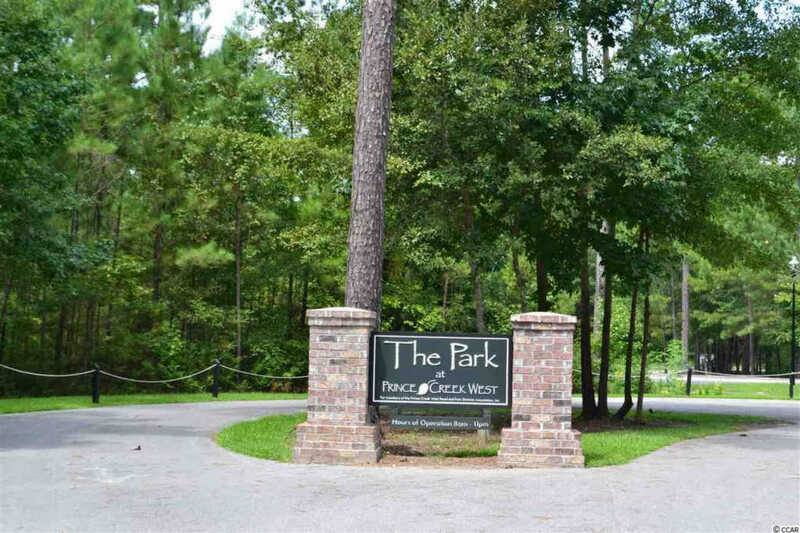 One also can enjoy access to Wilderness Park, a short ride down the street outside of the gate. 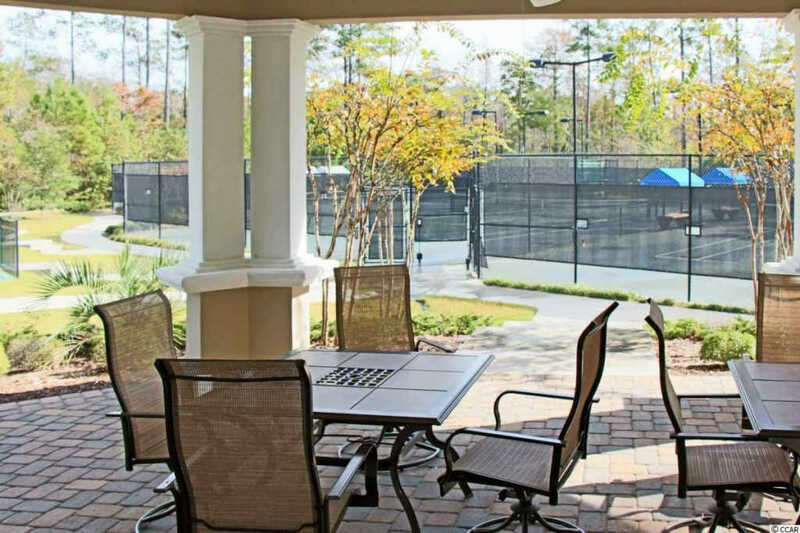 This park features pickle ball courts, bocce ball, outdoor pool and walking trails. 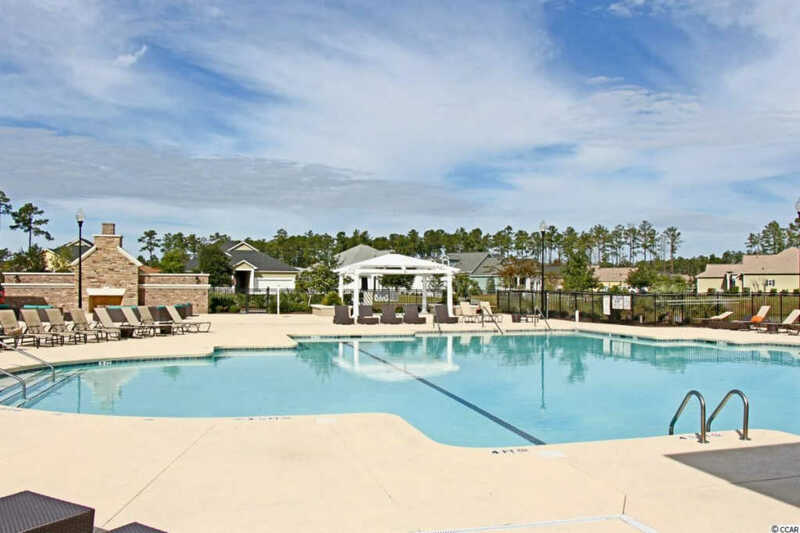 Come, call this beautiful home yours and begin to enjoy the great lifestyle offered!